Kids in the City: Philadelphia. Opens in a new window. Hitting the jackpot in Philadelphia. Opens in a new window. They offer a free breakfast that is good. The location is great, 5min far from the mall. Staff is friendly and helpful. Nice hotel! Loved the hotel and service, hated the pool. It should be noted in larger print children not welcome except Wed, Sat AND sun. It was over crowded when we took the kids on Weds. Mens changing room not children friendly, many older men walking around naked. Where to find Philadelphia hotels near an airport? 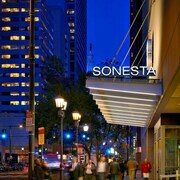 How can I find hotels in different Philadelphia neighborhoods? Where can I find hotels in Philadelphia that are near tourist attractions? If you are trying to decide where to spend the night while vacationing in Philadelphia, you'll find a wide range of suitable options to choose from. If you would like to stay within a 0.1-kilometre (0.06-mile) distance of central Philadelphia, Expedia's up-to-date database lists no less than 96 places to stay that meet that criteria. Securing accommodation in central Philadelphia has never been easier. Expedia's comprehensive booking page lists the The Rittenhouse and The Logan Philadelphia, Curio Collection by Hilton, which are located within a 1-kilometre (0.6-mile) radius of the town center. Essington has 7 hotels to book, which makes it the part of Philadelphia with the most hotels. It is 15 kilometres (9 miles) from the center of Philadelphia. 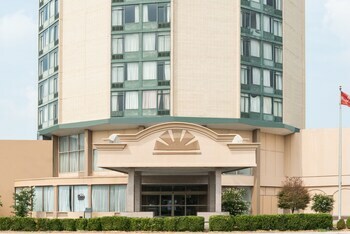 The Clarion Hotel Philadelphia International Airport and Holiday Inn Express Philadelphia Airport are just some of the places to base yourself in and around Essington. Another option is to find somewhere to base yourself in Concordville, which is home to the Staybridge Suites Brandywine and Hampton Inn & Suites Chadds Ford, or Chester, home to the Best Western Plus Philadelphia Airport S. At Widener Univ. and Days Inn Chester Philadelphia Airport. The Best Western Plus Concordville Hotel and Wyndham Garden Glen Mills Wilmington are in Glen Mills, while Residence Inn by Marriott Philadelphia Willow Grove and Towneplace Suites by Marriott Horsham are part of the Horsham area. The Independence Hall is amongst the more popular attractions in Philadelphia. 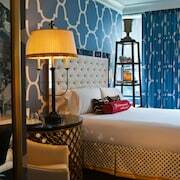 The The Ritz-Carlton, Philadelphia and Rittenhouse 1715, A Boutique Hotel are all nearby. 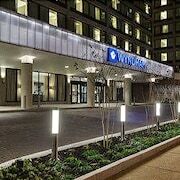 Stay near the Temple University by arranging a room at the Embassy Suites Philadelphia Center City or the Hampton Inn Philadelphia Center City-Convention Center. If you'd rather be based near the University of Pennsylvania, you should check out the Kimpton Hotel Palomar Philadelphia or AKA Rittenhouse Square. 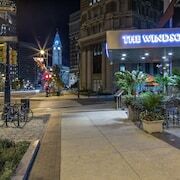 The Philadelphia Zoo, another important Philadelphia attraction, is walking distance from the The Warwick Hotel Rittenhouse Square well as the The Inn at Penn, A Hilton Hotel. Hotels within walking distance of the Reading Terminal Market include the Kimpton Hotel Monaco Philadelphia and also the Philadelphia Center City Residence Inn by Marriott. Located 11 kilometres (7 miles) from Philadelphia is Philadelphia International Airport. 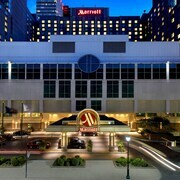 Stay nearby at Philadelphia Airport Marriott or Embassy Suites Philadelphia - Airport. What are the most popular Philadelphia hotels? Are there hotels in other cities near Philadelphia? What other types of accommodations are available in Philadelphia? Explore Philadelphia with Expedia.ca’s Travel Guides to find the best flights, cars, holiday packages and more!